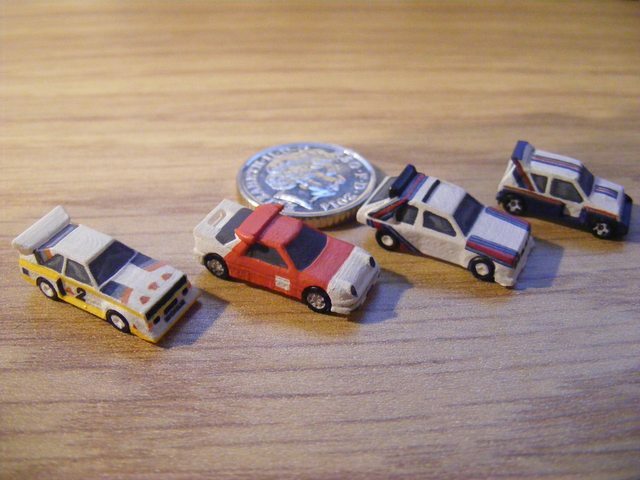 Can anyone recommend a good source of rally car decals, I've been working on a few 1/200 Group B rally cars (and have just ordered anther 72 ranging from '97 to '14 and a little smattering of DTM racers). The problem I'm having is the decals to finish them, what I thought was I could maybe buy 1/43 and just use the smallest on the sheets - the smallest equating to the main / large ones in 1/200. This solution isn't ideal but thought I see if it was feasible? 1/200-how can you even see the models! RORY O CONNOR wrote: 1/200-how can you even see the models! 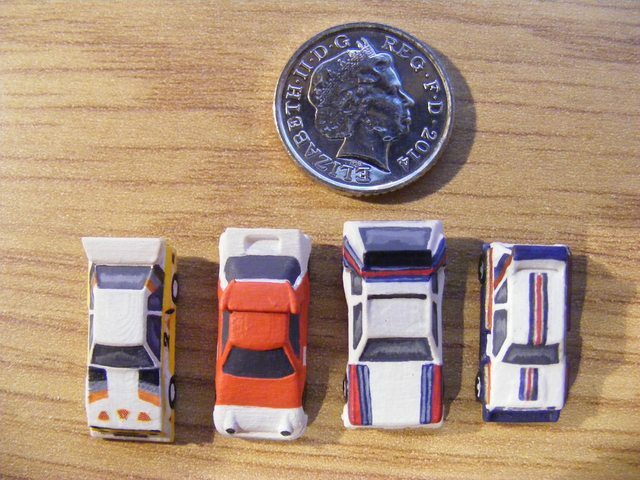 The cars against a 5p - the S1 is pretty much done but as shown in 3rd pic I'm suffering the blue background on decal issue you can just make out it says michelin, but it's not much cop really - the S4 / 6R4 & RS200 are WIP and I'm holding off until I can solve the decal issue. Jeez - thats impressively small! I was hoping to use the smallest 1/43 decals. Used on the proper model for the minor sponsors or the smaller spoiler decals these would be the main ones on my 1/200 but need so many I need to keep the cost of each sheet down. And they'll have no resale value, as when I cut the ones I can use they'll be incomplete. 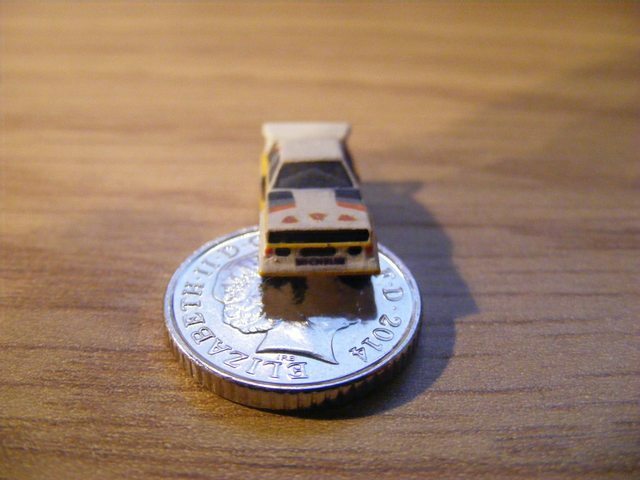 reeft1 wrote: Jeez - thats impressively small! Those are incredibly small. That are they from? Never seen anything like it before. Ive seen a few 1/76 models but those are insane.